We arrived home yesterday afternoon after an uneventful drive from Monroe Michigan. Before that we stayed in Bluffton Indiana and Columbus Indiana where it was relatively warm. Today we are back in the freeze, fortunately the camper was winterized after we unloaded some stuff yesterday. The diesel prices were a lot lower than last year but probably offset by the low Canadian dollar. Spend was probably a bit up as a result, but the winter in Borrego was well worth it. Murdoch is taking some time to adjust to the new location (the house!). We don't think he remembers it as he was so young when we left for the south. On his walks he still wants to return to the camper in the driveway, not the house! It will take him a few days to make the house his home. Hopefully the weather will hold as we head north! Off with the Shorts, Tees and Crocs, on with the Long Pants, Jackets and Shoes! 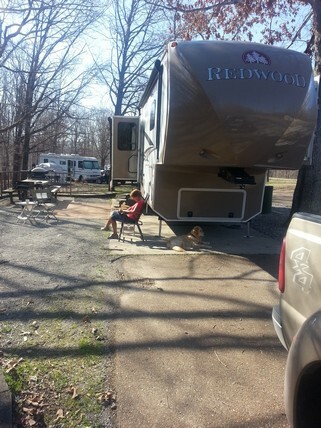 We are in Natchez Trace State Park near Jackson Tennessee, we got here yesterday and set up in the rain (again!). We are one of just a few campers here, it was cold overnight (a couple of degrees below freezing) and today it's just 10C as this is being written. It's sunny now, but still cool. For the first time this year we are back into shoes, looks like it will be this way for the rest of the way home. Looks like the cool winter is still in-place down here. We are here tonight then it's off to Bowling Green tomorrow for a few days. We will assess the weather farther north and decide if we want to stay here in the south longer. 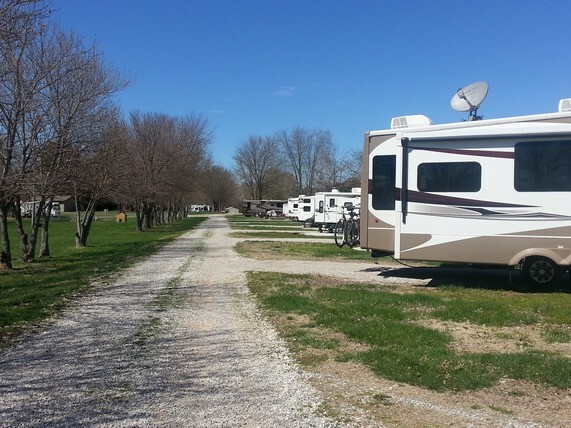 We are in Village Creek State Park near Wynne Arkansas, we arrived to a sunny day yesterday and 23C temperatures. The camper got dried out and cleaned up. It's great to get some good weather after the trek across Texas and west Arkansas. We enjoyed a BBQ yesterday and one is in the works again today. Spring break is still occurring in the area, the park is quite full and there are lots of kids around. On Murdoch's first run out this morning he was accosted by a few deer grazing nearby. Life is good! We are here for another couple of nights. We are camped in Lake Bob Sandlin State Park near Pittsburg Texas. We fought the rain all the way from Ranger yesterday and there are flood warnings posted for the area. It looks like Texas has been a washout for us, we are probably spoiled from all the good weather in southern California. So, it's another indoor day, Murdoch is restless as he hasn't got his normal complement of walks (that may be a good thing considering all the acorns on the ground for him to eat!!). We've shopped and we will head into west Arkansas tomorrow. Hopefully the weather will improve as the week progresses. Resting up for the crossing of Dallas/Fort Worth! We are staying again tonight, we will cross DFW on the way to east Texas tomorrow (and Al has some bursitis in his shoulder, hopefully some extra strength Tylenol will ease the pain!). A little commentary is in order regarding the oil boom here in Texas. We've been watching the ups and downs over the time we've come this way. The oilfield activity is still in boom mode, the quantity of oil coming out of the fields (aided by "fracking") is tremendous, every second or third vehicle on the route from Carlsbad (the top of the Permian basin) to Monahans was a tank truck carrying crude from the wells to tank farms.The output won't slow any time soon. On thing that was noted in Midland Texas was a large quantity of drill rigs (must have been between 50 and 100) parked behind drilling companies, obviously idle. 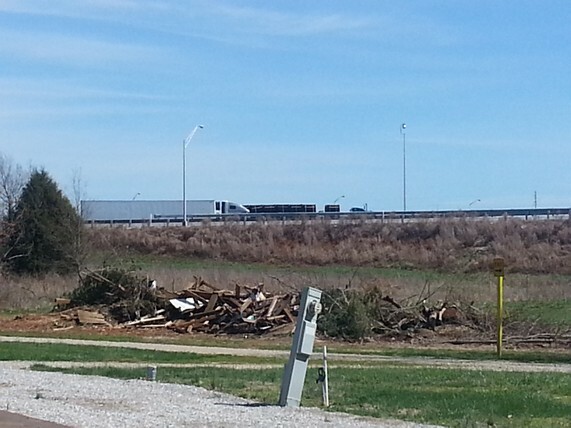 However, oil field service company lots (including Baker-Hughes) were still full of cars and trucks so any large layoffs are not in evidence yet. 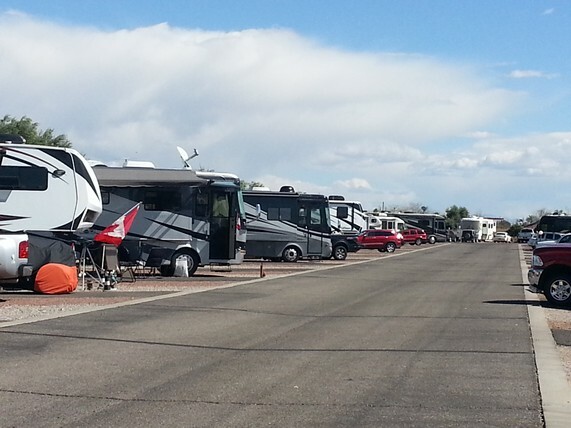 One thing that we noticed is the large increase in RV parks that are housing oilfield workers as this is probably the least expensive way that workers can house themselves (although there are new hotels and work camps being built to do the same thing). The RV park here is full of pipeline workers and the Carlsbad KOA was also full of workers, a pipeline must be worked on or installed close by. Al talked to a young (21 year old) welder who is just starting his career. His parents sunk about $100,000 into a truck and welding equipment, he thought it was a better investment than paying the same $$ into going to tech school, the truck and welder would still be required to get into the industry. The gentleman is hoping that layoffs don't come soon as he needs to work his way up the chain to be a pressure welder on the pipeline, he's only doing non-pressure work, he will need a pressure "ticket" to get the higher paid work. It will be interesting to see how things will change when we return to the area this coming fall. 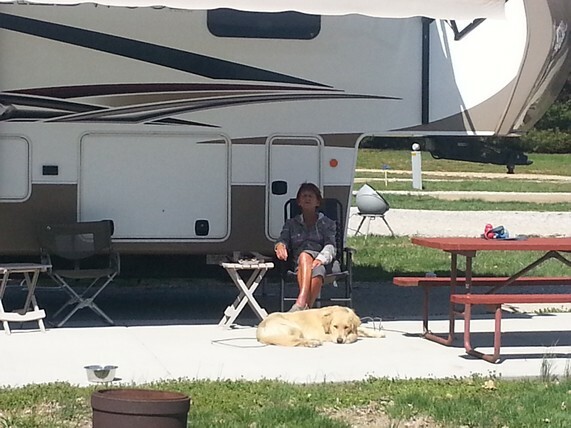 We stayed in Monahans Sandhills State Park yesterday evening after leaving Carlsbad. 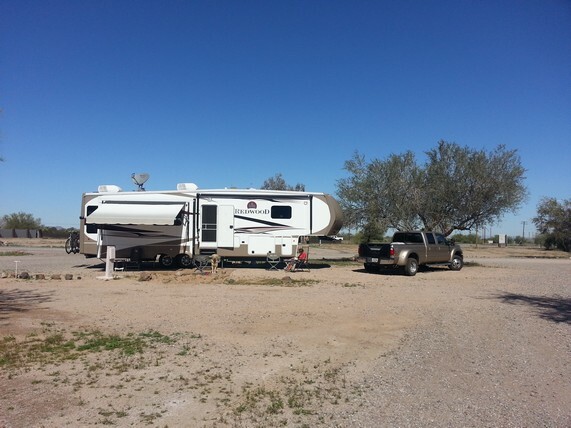 The camper and truck got thoroughly dirty on the way to Monahans because of the constant rain and the oilfield activity bringing dirt onto the roads. We seem to be jinxed at Monahans, in the fall it snowed and it rained constantly yesterday so it was an indoor day. 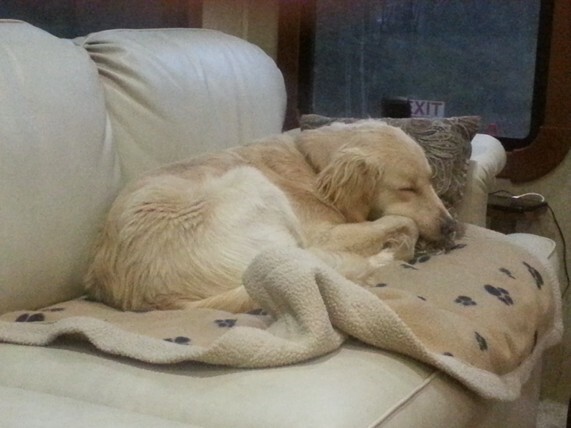 We feel sorry for Murdoch, he hasn't had a lot of outdoor time between the trips and the rain. We are in Ranger Texas after the long but easy drive from Monahans. The RV park here has changed, there is a larger number of pipeline workers here, it looks like the oil boom has hit this area as well. We arrived here on Friday afternoon and have settled in for four nights. The weather has been variable, we've had partly cloudy skies and cool (20C) temps during the day, not cold by Canadian standards but cool to us after California weather. At least this cooler weather helps us make the adjustment as we head back home. 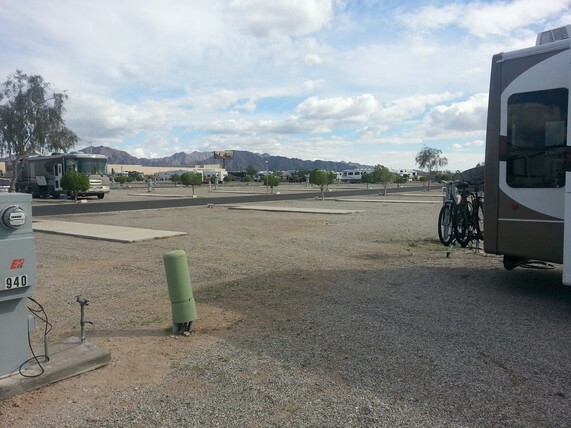 The KOA here is still very busy, it's full most nights and there is still a number of oilfield workers here in spite of the lower oil prices. It will be interesting to see how things are in Texas as we go through. 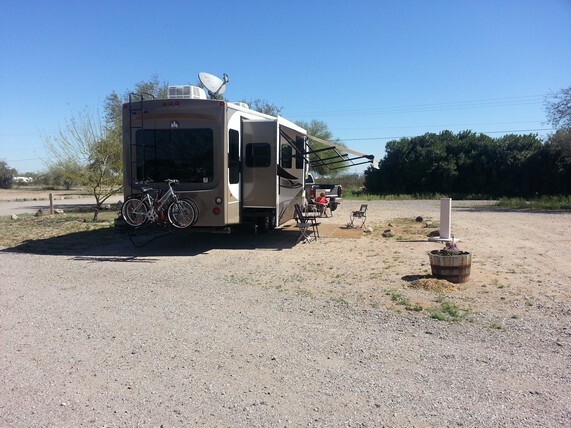 We are here for a short stop on our way to Carlsbad New Mexico. We are adjusting to the cooler weather, 22C during the day and 8C overnight due to the higher altitude. We haven't given up on our shorts quite yet! The trek to Carlsbad is almost 5 hours and through El Paso, so it's good to take a break before hitting the road tomorrow. 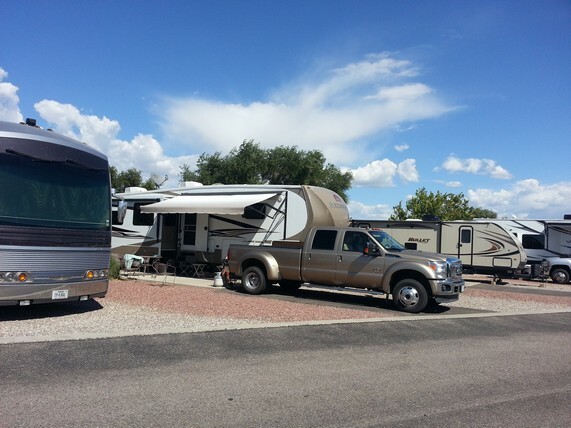 We have been here at the KOA/Lazydays resort for 3 nights and we will stay another 2 before we head for Deming. 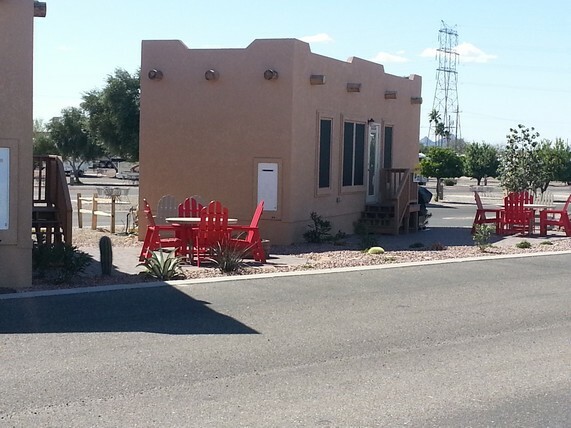 We enjoy this stop and the KOA folks have made some improvements. The place is packed partially because of a rally (we believe it the Escapees being held at the fairgrounds and we are probably seeing the overflow) but it's busier here in general. There are a few slots open this morning (being a Monday), but this also could be March break for the school kids. And now for a bit of a rant! Over the weekend we had our American $ Visa card frozen by the fraud department at the Toronto Dominion Bank. Al called to see why, the lady at the department asked if the charges listed on their computer were valid (they were all valid as this is checked daily on-line by Al for exactly this reason). Regardless, the credit ceiling was reduced to an amount less than the balance owing on the card and TD will deactivate the card upon our return to Canada. The lady wasn't even aware that we were traveling in spite of the notification that was given to TD, she probably didn't even check to see. In order to make some head space on the card we've had to make an additional payment in spite of the fact that we paid off the statement balance already this month 2 full weeks in advance of the due date. We are temporarily using our C$ card which incurs additional fees as we believe the conversion rate is worse as Visa makes some $$ off it. We are fortunate to have other credit cards, otherwise we would be left stranded here in the US by TD. Well, once we return to Canada our relationship with TD will be terminated after more than 30 years with them, time to get better service from another bank. A friend of ours posted a neat picture on Facebook, it's copied below. 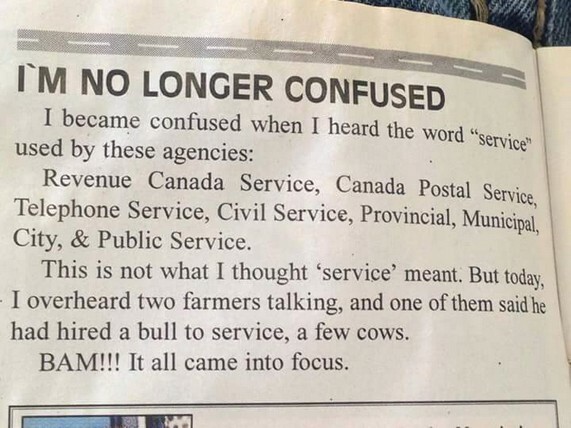 We will add TD to the list of "services" on that commentary! 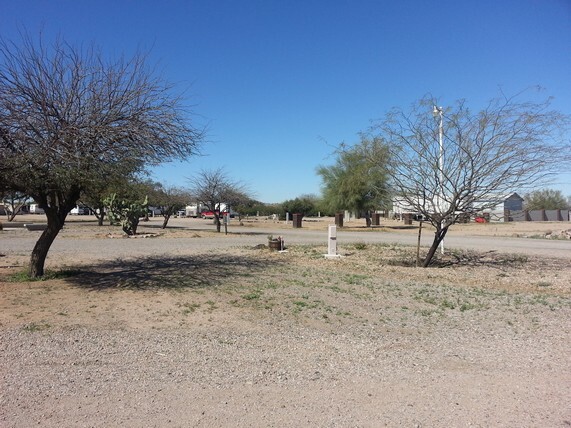 We are at Wild West Ranch & RV resort just outside Maricopa Arizona. Our friends Jim & Suzie who we originally met in Mexico have a new place (and a new grand daughter named Teal) here. We visited last evening and they took us on a tour of the area and their new place. 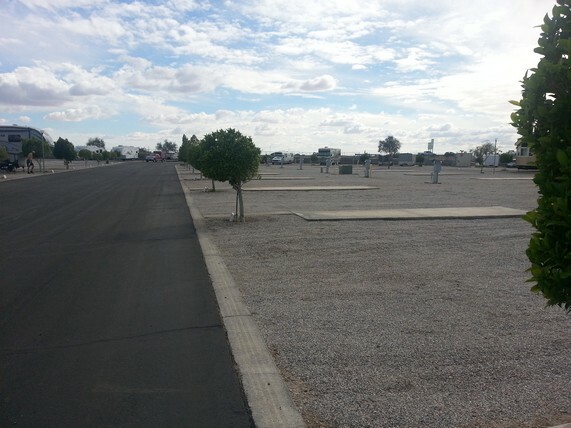 It's a very interesting area, a newly developed area in the desert with lots of amenities and shopping. John Wayne had a 3,000 acre ranch here and made motion pictures just down the road in Old Tucson studios. The infrastructure is almost brand new, it reminds us of Palm Springs but newer and better. There are some great home prices as the area was over built before the recession and there are a lot of places to buy. Jim's son is a real estate agent (a plug! ), he can help prospective buyers out. 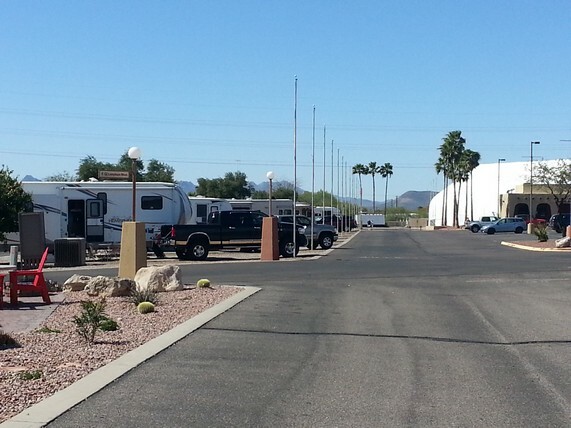 The park is a "no frills" park but it has full services at $25 per night. It's just off the interstate and it has the best wifi of any park that we've stayed at this winter. It's a stop that we may make on future trips. We expect to spend some time with Jim & Suzie later today then it's off to Tucson! 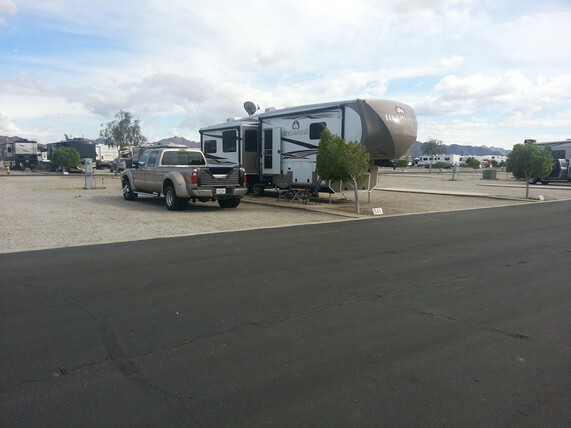 We are on the last day of our 3 day stay in Yuma, we arrived here on Sunday and we leave for parts east tomorrow morning. 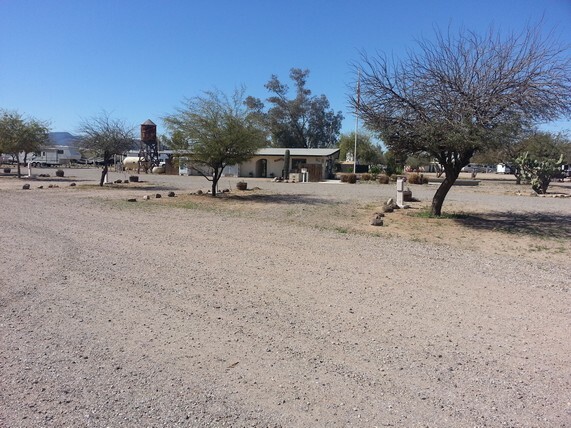 We will camp in Maricopa, just outside Phoenix for a couple of nights to see our friends Jim and Suzie who we haven't seen since Mexico almost 5 years ago. We shopped here in Yuma and got the truck serviced. Today we joined our friends from Borrego Springs Ed and Karen for a lunch. We really enjoyed their company over the winter and we look forward to seeing them again next winter. 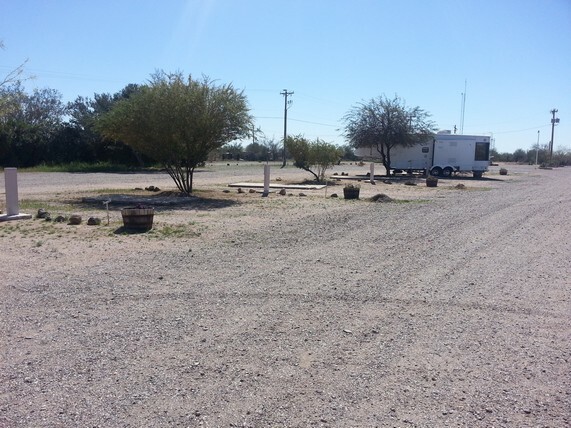 We also took a couple of pictures of the campsite here, Suzette asked for a site by ourselves in the eastern part of the campground and the receptionist agreed, she said that there was a mass exodous and there were lots of sites available, the photos below prove it! The weather here has been cooler than normal and there has been lots of rain, hopefully things will improve during the week ahead.